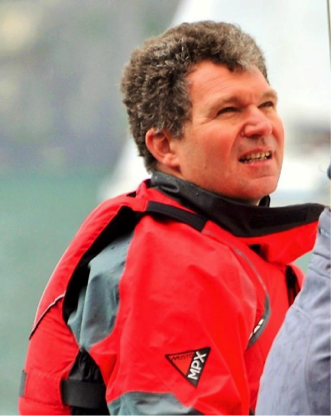 Jure Jerman is a meteorologist at the Slovenian Environmental Agency (ARSO), and he was one of the first people to build a Linux cluster for operational weather forecasting. While the development of commercial HPC solutions means he no longer has to tinker with the system as much, he still finds working with HPC exciting. 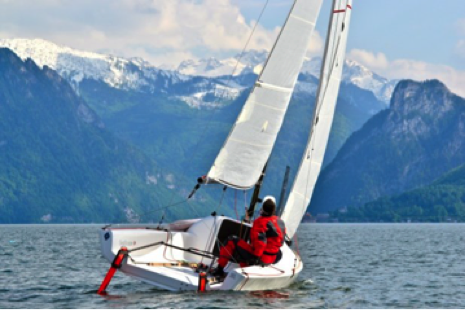 Outside the office, he enjoys applying his meteorology knowledge to sailing. Jure, tell us a bit about yourself, and how your career path has led you to where you are now. I am a meteorologist at the Slovenian Environmental Agency (ARSO), where I manage the Department for Numerical Weather Modelling and Meteorological Techniques. At my work, I’m faced with the biggest challenge in forecasting the weather, i.e. the changeability of weather forecasts, which means they are effectively perishable goods – and unfortunately people usually remember us for the wrong forecasts, not the accurate ones. My first visit to Meteo France was as early as 1994, and there I was involved in the development of the limited area meteorological model ALADIN. These visits were a good way to learn about the operation of large-scale meteorological services and my colleagues and I always strived to have as many good practices as possible implemented at the former HMZ (Hydro Meteorological Institute). 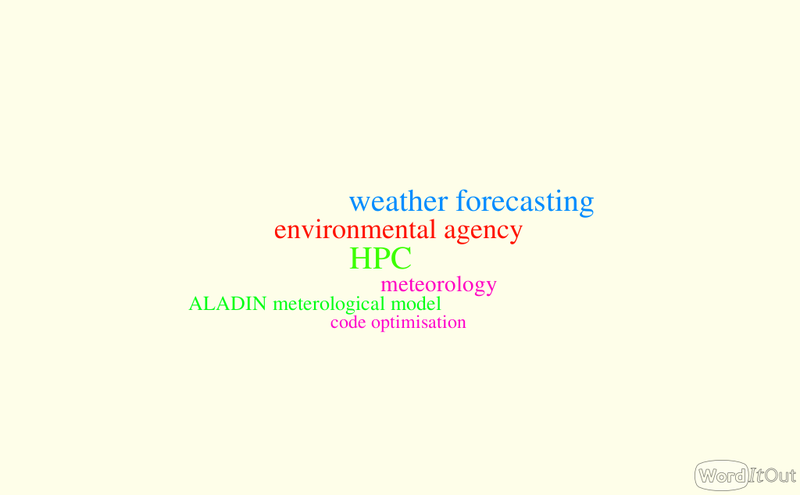 We were among the first to have succeeded in operationally implementing the ALADIN model outside of MeteoFrance. Above all, for me the period between 1996 and 2003 was highly associated with the development of HPC systems; after that I was an interim deputy director of the Meteorological Office at the ARSO. In recent years I've been able to dedicate more time to more substantive meteorological work. Planning, implementation of procedures and the procurement of HPC equipment. In the past, we dedicated a lot of time to optimization of systems, but today the pioneering stage of development of HPC systems based on Linux clusters is at the end. The remaining HPC tasks are the administration and optimization. You could say that in some ways the romantic phase is long gone, but on the positive side, the "ready-made" solutions make my job much easier. If the operating system fails, it is often no longer a challenge - but nevertheless, fixing a problem with the HPC system can still lift one's mood. The biggest challenge probably lies in optimizing the operation of the program code on a truly large number of processors. ECMWF (European Center for Medium Range Weather Forecasting) as the world's leading organization in the field of global numerical weather forecasting has perceived this problem as critical and is addressing it as a priority under the "Scalability" project. What was your first experience with HPC? Did that change the course of your career? We have been modelling the weather in a limited area for more than 20 years, and had our own infrastructure since 1997. As numerical modelling of weather is a typical HPC application, but we were unable to afford an HPC system in the beginning, we initially began porting the weather model code to Linux around 1996, and in 1997 we were one of the first in the world, if not the very first, to use a Linux cluster for the calculation of an operational model. As a curiosity, in 1997 we were educating one of today's world leading manufacturers of HPC systems on what Linux clusters are, and their importance in meteorology. Unless there is a qualitative (quantum) leap in this field, we are doomed to using systems that require megawatts for their operation and further megawatts for their cooling. The direction of development where more computing power is achieved only by increasing the number of processors is probably not right. I still have the feeling that in many cases the available computing power is not used properly. After all, we still haven't invented the cure for the common cold! The smart use of meteorology in various fields. To optimize the operation of business systems with the use of meteorological information.